Moiseienko S., Volkova О. Teaching ESP: content selection // International scientific journal "Internauka". — 2018. — №9. Summary. The article investigates the evolution of the concept ‘content selection’ in teaching English for Specific Purposes at technical universities. The objectives and various approaches to content selection in teaching ESP have been described on the basis of the conducted comparative analysis. Key words: objectives of teaching ESP, content selection of ESP programmes, approaches to content selection. The modern education system undergoes constant changes. First of all, changes are occurring in objectives and content selection for education programmes, and as a result, they affect methods and forms of teaching, learning, and evaluation of students. the development of thinking focused on sustainable future. All these factors launch the process of modernizing approaches to teaching foreign languages that, in turn, requires clarification of objectives of teaching ESP and introducing changes into its content. 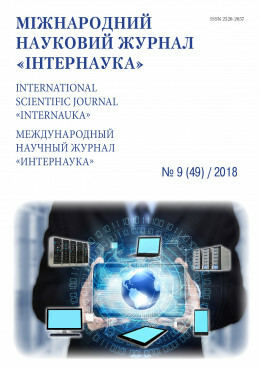 The purpose of the article is to show the evolution of the concept ‘content selection’ and define up-to-date objectives and principles of content selection for teaching ESP, considering the key directions of national and international education policy, peculiarities of student needs and motivation. Objectives and content selection for teaching ESP have been discussed in scientific works of L. E. Alekseeva, I. L. Bim, N. D. Gal'skova, N. I. Gez, S. P. Kozhushko, B. A. Lapidus, R. K. Minyar-Beloruchev, S. Yu. Nikolaeva, V. L. Skalkin, E. N. Solovova, O. B. Tarnopolsky, I. I. Khaleeva, A. N. Shchukin, D. M. Brington, D. Coyle, T. Dudley-Evans, and J. Harmer. However, at the current stage of development of methodology for teaching foreign languages, researchers do not have the same point of view on some issues of content selection for teaching ESP, its components, as well as the sequence of content selection. Our task is to analyze and describe the concepts ‘objectives’ and ‘content’ in teaching ESP, as well as various approaches to defining objectives and selecting its content. Nowadays, the teaching system can be considered as a functional, complex, open, multicomponent and multilevel hierarchical structure which content is determined by the social order of society at the present stage of its development. According to S.Yu. Nikolaeva [7, p. 79-81], this system represents a set of main components in the educational process that determines the selection of materials for foreign language classes, the standards of its presentation, as well as methods, means of teaching, and its organization. The content of teaching/learning is a subsystem in this complex hierarchical system which occupies a central place, has a specific content and is aimed at teaching/learning a certain foreign language and culture. B. A. Lapidus [5, p. 5] defines the ‘content of teaching’ as the set of knowledge that students must learn to achieve such a standard of language proficiency that corresponds to the objectives of a particular educational institution. This definition does not require further clarification of the concept ‘the content of teaching ESP’ in a technical university. It should be noted that in the field of language proficiency of specialists in technical universities, teaching ESP will be effective provided that the content, structure, and organization of the language course syllabus correspond to the real needs of students and their future profession [1, p. 9]. The main attention should be paid to mastering the sublanguage of the student future profession, developing communication skills of a foreign language based on the use of this sublanguage [12, p. 10]. Therefore, the distinctive and specific objective of teaching ESP consists in the necessity of having its own training course in a foreign language and culture for each professional field, developed in accordance with professionally significant objectives that are characteristic only of this area or discipline. A number of researchers (L. E. Alekseeva, O. B. Tarnopolsky, D. Brinton, D. Coyle) believe that teaching ESP through content-based instruction is the leading and effective direction of optimization and intensification of the process of teaching students to a professionally oriented foreign language, and offer an interdisciplinary design of an ESP course in the syllabus content of which various courses of the specialty can be reflected [1, p. 14; 13, p. 23; 16, p. 20; 17, p. 97]. be modular in its organization. The selection of the ESP syllabus content should be carried out on the basis of the analysis of data that can be obtained by 1) a survey of students, professionals, employers, teachers of major courses and ESP teachers; 2) testing the level of language proficiency of students; 3) conducting interviews and analyzing job descriptions; 4) conducting the pre-project research of a foreign language for professional communication [9, p. 6]. The qualitatively defined content of teaching a foreign language for professional communication should ensure the formation of professional communicative competence in a foreign language, mastering a foreign language as a means of communication among specialists, based on the formation and development of communicative skills, knowledge and abilities necessary for professionally oriented communication in a foreign language [1, c. 13]. In the studies of some researchers, it is possible to trace the change in approaches to the problem of structuring the content of teaching. Thus, in the work of I. L. Bim (1977) , it was defined the hierarchy and differences between units of language and speech material, as well as teaching components built on their basis. Three levels of methodical organization of the material were introduced. Sounds, words, separate phrases and sentences (phrases) are attributed to the units of language material of the first level; the second level includes the so-called typical phrases (speech patterns). And finally, the third level is composed of coherent texts and themes. On each of the levels, the basic unit of teaching is an exercise. As a unit of teaching, the exercise must have a three-part structure containing tasks, language or speech material and means for control or self-control [2, p. 199]. Also, the author refers to the list of components of the content of teaching not only foreign language knowledge, skills and abilities, but also the process of their formation [2, p. 212]. In his later work, I.L. Bim (1988) argues that the communicative goal is integrative, focused on achieving practical results in mastering a foreign language, as well as on education, upbringing and development of the individual [3, p. 20]. The direction of the teaching methodology, which consisted in concentrating attention only on the practical mastery of a language, was finally revised at the turn of the 1970s – 1980s and a foreign language began to be considered as a means of all-round comprehensive development of the learner's personality. In 1981 in accordance with the approaches of the ‘pre-communicative’ direction to teaching languages, considering the language material as a basic component of the content of education, V.L. Skalkin in his work [10, p. 156-158] proposed a multi-operational algorithm for its selection. In the successive operations of the algorithm, the elements of communicative direction for teaching a foreign language were introduced: the study of the spheres of communication, the defining of a specific list of social and communicative roles for each of the spheres of communication, the determining of a list of the most typical communicative situations for each of the spheres. Offering an operational approach to the selection of language material, the author considers that it is expedient to use the inductive-communicative method of teaching [10, p. 154] and simultaneously introduces the concept of communicative language environment. Accordingly, the selection of language material at the communicative and speech levels should precede the selection of material at the language level. In the mid-1980s, some scientists (B.A. Lapidus, R.K. Minyar-Beloruchev, I. I. Khaleeva) began to include linguistic cross-cultural and country-specific knowledge in the content of the language teaching, emphasizing the methods of their selection [5; 6; 14]. According to the classification of B.A. Lapidus (1986) , the content of teaching consists of skills and abilities 1) to operate language material; 2) to use systemic knowledge of a foreign language that has a communicative meaning, and specific speech rules of high-level generalization; 3) to operate a selected minimum of gestures and facial expressions reflecting the specifics of native language speakers; 4) to use paralinguistic means of written speech; 5) to operate selected regional knowledge, including knowledge of the norms of everyday life. Some linguistic units are referred to elementary skills and have communicative-auxiliary character [5, p. 16-20]. Thus, the author's methodological approach to language teaching has features of a communicative direction and takes into account country-specific and linguistic sociocultural knowledge. By the early 1990s, the concept of the content of teaching a foreign language received a significant and more accurate definition. In further studies, the researchers also took into account the tasks of ensuring the possibility of further self-improvement of the individual that is based on the individual’s study abilities, skills, and knowledge about the methods for more effective language acquisition. The research of A. N. Shchukin (2004) [15, p. 122-146] contains a detailed study of the content of teaching, in particular, its structure, the principles of selection and interrelation of teaching objects and teaching outcomes. The author combines the components of the content of teaching in the system that consists of three subsystems: the teaching object, the learning object, and the result of the teaching (competence). According to this, the successive chains of the system have the form ‘language - knowledge - language competence’, ‘language - skills - speech competence’, ‘speech activity - skills - communicative competence’ and ‘culture - intercultural communication - socio-cultural competence’. Considering the subject and procedural aspects of the content of teaching, A.N. Shchukin concludes that the ultimate goal of mastering the content of teaching is the formation of communicative competence that includes linguistic, sociolinguistic, discursive, strategic, social, sociocultural, subject and professional competence [15, p. 145-146]. In 2004 O.B. Tarnopolsky and S.P. Kozhushko in their research , based on the research of V.L. Skalkin, proposed a fundamentally new procedure for selecting the content of teaching, according to which, first, the communicative aspect (themes and situations of communication) is selected. The next stage is the definition of the linguistic aspect (texts and ‘language inventory’), followed by the procedural and psychophysiological aspects (selection of knowledge and skills that students should master in the process of learning a foreign language). Thus, the authors who studied the methodology of teaching a professionally oriented foreign language put the main emphasis on the sequence of the content components selection, arguing that there is a need for strict adherence to a certain sequence in the selection of the teaching content. It should be conducted from the bottom up: from the components that make up the communicative aspect, through the components that are part of the linguistic aspect, and end with the components of the psychophysiological and procedural aspects [12, p. 42]. When selecting the content for teaching a professionally oriented foreign language, it is necessary to follow the sequence indicated above, since only such a sequence provides practically the full priority and leading role of the subject aspect of the content (carrier-content) with respect to the linguistic aspect of the content of teaching a foreign language (real-content) [12, p. 43], and makes it possible to implement the approach to teaching a foreign language through the content of special disciplines (content-based approach) [16; 18]. In addition O. B. Tarnopolsky and S.P. Kozhushko [12, p. 43] believe that the analysis of students’ needs (learners' needs analysis) should be applied only at the stage of selecting topics for the content of teaching. The selection of the remaining components should be done by professional methodologists and linguists, following a scientifically grounded procedure. In their work (2006), N.D. Galskova and N.I. Gez  mention that modern researchers consider the content of teaching not as a static, but as a constantly evolving category, which reflects both the subject aspect and the procedural aspect. At the same time, in the theory of teaching foreign languages so far there is no common point of view on the component content of teaching foreign languages [4, p. 123]. According to the authors, despite the contradictions regarding the composition of the teaching content, it is possible to single out undeniable components belonging to the subject and procedural aspects. The subject aspect is correlated with various knowledge involved in the subject teaching process and includes communication spheres and situations, topics and texts, communicative goals and intentions, country-specific and linguistic cross-cultural knowledge, and language material (phonetic, lexical, grammatical and orthographic). The procedural aspect consists of the skills to use the acquired knowledge for the purpose of providing oral and/or written communication. According to the classification given by the authors, the procedural aspect of teaching content comprises 1) skills to use the linguistic material, 2) reading, speaking, listening, writing, translation skills, 3) compensatory skills and 4) general study skills. In general, the authors refer to the content of teaching everything that is involved in teaching and learning activities, educational material, as well as the process of its assimilation [4, p. 123-124]. E.N. Solovova in her work (2008)  suggests the selection of the content of teaching by selecting individual elements at the level of actual and sociocultural knowledge, language skills and speech units, and offers her own algorithm of the action sequence. She offers to start with the formulation and selection of thematic sections of the language course, topics for discussions or communication situations, and then proceed to the compilation of a lexico-grammatical framework of themes on their basis. The next stage includes the isolation of language and speech material, the creation of a logical sequence of topics and subtopics, the more precise definition of principles of selection of socio-cultural material. And, finally, the last stage is the selection of sources of visual and information support of the course [11, p. 75-76]. Over a period of time, the content of teaching a foreign language requires some adjustments. The need to make changes in the content of teaching a foreign language, including a professionally oriented foreign language, is conditioned by a change in the teaching objectives, which, in turn, depend on the social order of society, the key directions of state and international educational policy, the teaching/learning environments, and also on the development of language teaching technologies and other sciences related to language teaching. Thus, under the content of teaching ESP in a technical university, we mean the totality embracing everything that students should learn in order to achieve the main goal of studying – the ability to communicate in a foreign language in typical professional intercultural situations within the study program of the university. The selection of content is realized after defining objectives of teaching a foreign language and should be based on an analysis of educational standards and general professional needs of students. The development of the methodology of teaching foreign languages as a science and the changing of aims of teaching ESP, which is conditioned by the social order of society, lead to the need to regularly update the content of teaching a foreign language. The procedure for selecting the content for teaching ESP is a multilevel and multicomponent process that requires careful study, analysis, and depends on the objectives of teaching a language. Алексеева Л.Е. Методика обучения профессионально ориентированному иностранному языку. Курс лекций : [метод. пособ.] / Л.Е. Алексеева. – СПб. : Филологический фак-тет СпбГУ, 2007. – 136 с.
Бим И.Л. Методика обучения иностранным языкам как наука и проблемы школьного ученика / И.Л. Бим. – М.: Русский язык, 1977. – 288 с.
Бим И.Л. Теория и практика обучения немецкому языку в средней школе. Проблемы и перспективы: [учебн. пособие для студ. пед. ин-тов по специальности 2103 «Иностранный язык»] / И.Л. Бим. – М.: Просвещение, 1988. – 253 с.
Гальскова Н.Д., Гез Н.И. Теория обучения иностранным языкам. Лингводидактика и методика. Учеб. пособие для студ. лингв. ун-тов и фак. ин. яз. высш. пед. учеб. заведений / Н.Д. Гальскова, Н.И. Гез. ‒ 3-е изд., стер. ‒ М.: Издательский центр «Академия», 2006. ‒ 336 с.
Лапидус Б.А. Проблемы содержания обучения языку в языковом вузе / Б.А. Лапидус – М.: Высшая школа, 1986. – 144 с.
Миньяр-Белоручев Р.К. Методика обучения французскому языку / Р.К. Миньяр-Белоручев. – М.: Просвещение, 1990. – 224 с.
Методика навчання іноземних мов і культур: теорія і практика : підручник для студ. класичних, педагогічних і лінгвістичних університетів / Бігич О.Б., Бориско Н.Ф., Борецька Г.Е. та ін. / за загальн. ред. С.Ю. Ніколаєвої ‒ К.: Ленвіт, 2013. ‒ 590 с.
Програма з англійської мови для професійного спілкування / [колектив авторів : Г.Є. Бакаєва, О.А. Борисенко, І.І. Зуєнок та ін.]. – К.: Ленвіт, 2005. – 119 с.
Скалкин В.Л. Основы обучения устной иноязычной речи / Владимир Львовович Скалкин. – М.: Русский язык, 1981. – 248 с.
Соловова Е.Н. Методика обучения иностранным языкам: пособие для студентов пед. вузов и учителей / Е. Н. Соловова. ‒ М.: АСТ: Астрель, 2008. ‒ 272 с.
Тарнопольский О.Б., Кожушко С.П. Методика обучения английскому языку для делового общения: учебное пособие. – К.: Ленвит, 2004. – 192 с.
Тарнопольский О.Б. Навчання через зміст, змістовно-мовна інтеграція та іншомовне занурення у викладанні іноземних мов для професійних цілей у немовних вишах / О.Б. Тарнопольский // Іноземні мови – 2011. – Вип. 3. – С. 23-27. Халеева И.И. Основы теории обучения пониманию иноязычной речи (подготовка переводчика). ‒ М.: Высш. Школа, 1989. ‒ 238 с.
Щукин А.Н. Методика обучения иностранным языкам: курс лекцій / А.Н. Щукин. – М.: Изд-во УРАО, 2002. – 288 с.
Brinton D.M. Content-based second language instruction / Brinton D. M., Snow M. A., Wesche M. B. – NY: Newbury House Publishers, 1989. – 241p. Coyle D. CLIL ‒ a pedagogical approach from the European perspective / D. Coyle. // Encyclopedia of language and education. Vol. 4: Second and foreign language education. ‒ New York, NY: Springer, 2007. ‒ P. 97‒111. Dudley-Evans T. Developments in English for Specific Purposes. A multi-disciplinary approach. – Cambridge: Cambridge Univ. Press, 1998. – 301 p.
Harmer J. The practice of English language teaching / Jeremy Harmer. – [3rd ed.]. – Essex: Pearson Education Limited, 2004. – 371 p.